HTC 7 Mozart is made from a single block of anodized aluminum. The phone either looks good as well, and in the hand. The device uses Dolby Mobile and SRS WOW HD capable of producing the highest quality virtual surround sound for music and movies. 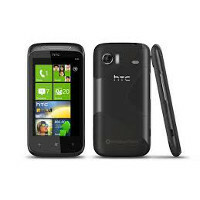 Remember that entered PIN on the website must be exactly the same as PIN entered in the setup program on your HTC 7 Mozart.